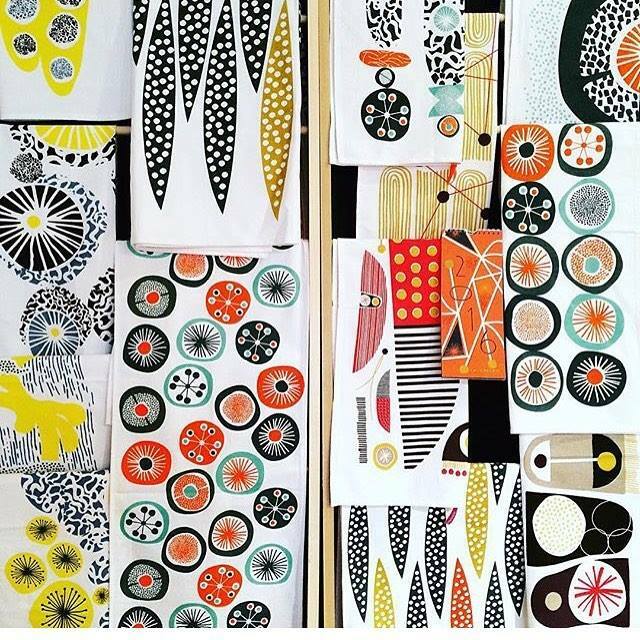 A perfect stocking stuffer, the Canoes Tea Towel from Mezzaluna Studio is part of the abstract garden series. 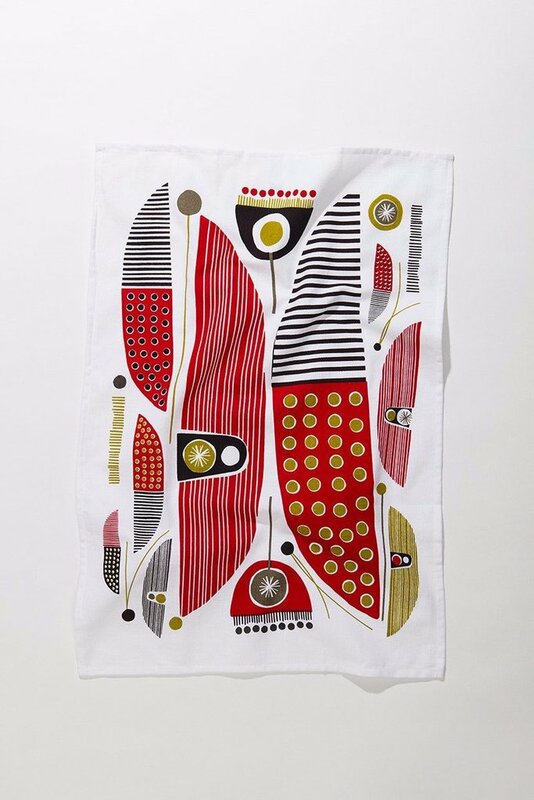 Designed by Vikki Wiercinski, it is bright and festive with deep reds and foliage greens. 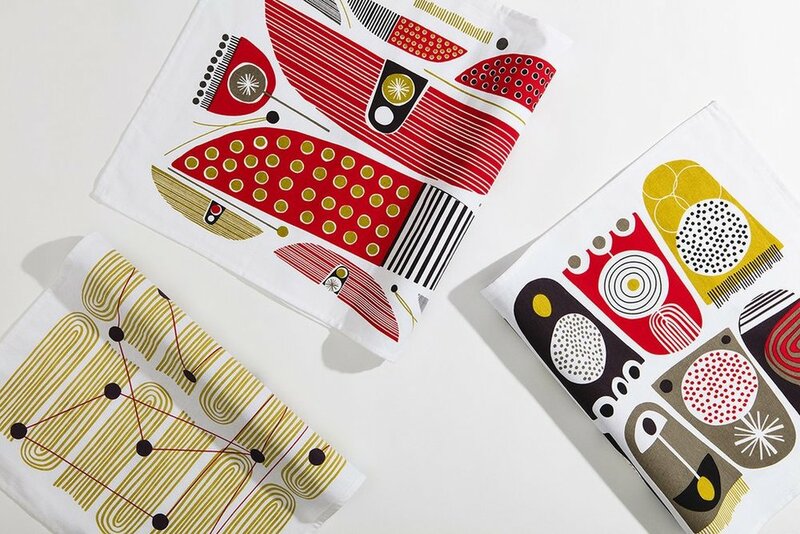 Each tea towel is machine washable and made from 100% super absorbent heavy-weave cotton. 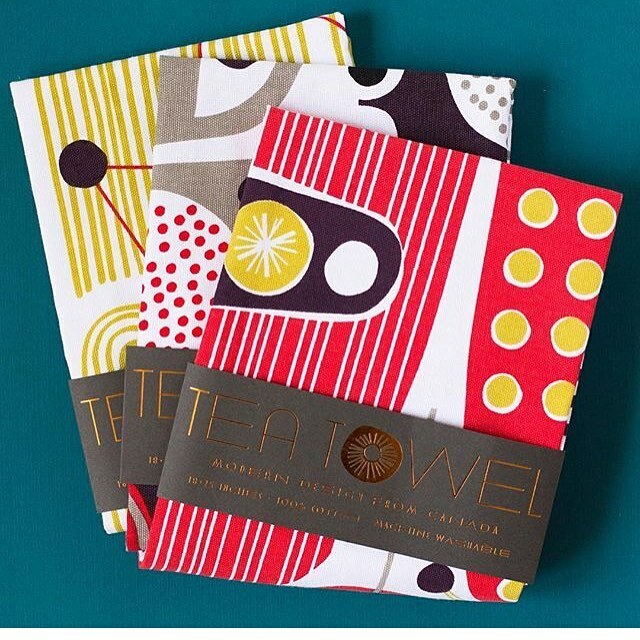 This gorgeous tea towel would also make a great hostess gift! Made in Canada: Designed in Edmonton, Alberta. Manufactured in India.